With the ruination and destruction that has occurred, it is clear that things will never be as they were before. When foundations shake, and destruction comes, change follows. “Getting back to normal” will be a new normal. Nothing will ever be as it was. Is that a good thing? Probably. There are things about which we as individuals or governments as entities grow complacent. When Hurricane Katrina wrought destruction in New Orleans, discussions sprouted about emergency preparedness, about the levees, about race relations. Foundations that are shaken reveal the cracks that have been there for a long time. 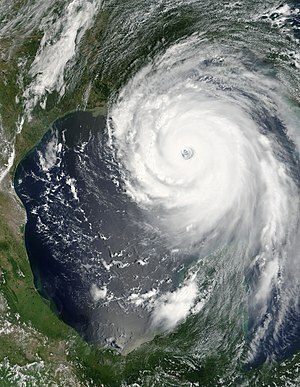 If we look at Sandy and even Katrina as metaphors, we can apply lessons we are learning from them to our personal lives. There is much within us that we need to change, and we have thought about doing it for the longest time …only, we procrastinate. And then …a storm comes and the changes we should have made a long time ago stare us in the face, menacingly. I wonder how many times city planners in New York thought about changes they needed to make in their subway system. For 108 years, it ran without a major catastrophe, and yet, the possibility of devastation due to flooding must have always loomed as a discussion point. Doubtless, changes to an infrastructure are not looked upon favorably, one, because we like things “the way they have always been,” and two, because change always costs. We can be proactive and make changes before catastrophe happens, but most of us do not. Invariably, though change costs whenever you do it, it is cheaper to do it proactively as opposed to reactively. We know that, and yet we procrastinate. We eke by with things “the way they are” or the “way they have always been” until the foundation shakes so violently that things can no longer remain the same. The shaking is so violent that destruction is complete. Change must occur. But I also understand that storms…come…uninvited, unexpectedly, with no regard of who or what they destroy. That being the case, we need to be, perhaps, a little more willing to cast procrastination aside and do what our spirits tell us we need to do to withstand the storms that will eventually come. They always come, and they almost always pave the way for a new normal. We could all do ourselves a favor by checking ourselves. Is our insurance adequate to handle a storm that might come? Do we have flood insurance? Do we have a plan in case a storm comes our way? Are we ready? What do we need to do to prepare, so that when the foundations, our foundations shake, we are not completely devastated? And …are we ready not only for the physical storms that will come our way but for the emotional and spiritual storms that will come as well? This hurricane, just as Hurricane Katrina, has caused me deep thought. I cannot stand to see the total destruction, the pain and angst, of the people who lost everything, not now and not after Katrina. I am angry at Sandy, just as I was angry at Katrina. The audacity of these storms to wreak such havoc just does not set well with me. But what also doesn’t set well with me is that we as humans are so slow to understand that our foundations – physically, personally and spiritually – will shake. We will not always be as we are right now. It seems that we ought to understand that and do what we need to do to strengthen ourselves while we have a chance…because storms …will come. The life changing thing about storms is that we inevitability lose something we swore to God we couldn’t live without. When God takes them away we find that life without them is just as sweet and most often even sweeter than we could have ever imagined. Thank God for the storms ! Doing the preparation beforehand is always a good thing. Of course procrastination and laziness has been ingrained in many of us, but disasters like Hurricane Sandy do make you see the importance of taking care of little things before the bad things happen that literally sweep us off our feet with no warning.